I enjoyed a couple of weeks wrapped up against the icy blast of the southern hemisphere’s winter, having arrived to join an international judging panel for the Catad’Or Grand Hyatt Wine Awards in Santiago Chile. For over a decade, this important wine competition has been instrumental in publicising and improving Chilean viticulture and winemaking, with a carefully-chosen panel of judges from around the world spending several days scrutinising hundreds of wines. Catad’or is a little play on words: ‘Catador’ is Spanish for a person who tastes wine, whilst the introduction of the apostrophe refers to the French word for gold: ‘d’or’. Right: hard at work, judging. At the end of the week in Chile, the entire show – judges and organisers – make the 25-minute hop across the Andes to Argentina’s wine capital, Mendoza, for round two, when the Hyatt Argentina Wine Awards buckles down to assess several hundred more wines from Chile’s neighbour. As I returned to Argentina just a few months later on a major trip, I will include the notes from this second part of the Catad’Or experience in a future Argentine report. Included in this giant logistical exercise is a programme of winery visits for the judges, who taste wines each morning, and travel out to the vineyards each afternoon. I arrived a little later into Chile than some of my fellow judges, so here are my impressions of just two Chilean estates that I visited on this thoroughly enjoyable trip. 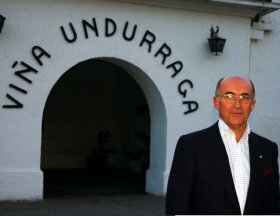 One of the great old names of Chilean winemaking, the owning Undurraga family recently sold 46% of the company to Josef Yuraszeck (right), who is now CEO and who has put a new young team in place. He has a dynamic vision to restore Undurraga to the top quality of Chilean winemaking: “I have selected the best young people from various different wineries to work with us, and from 2008 we will drop our lowest level range completely, losing 25% of the volume we currently produce.” Instrumental in this change is Yuraszeck’s scoop in employing Rafael Urrejola as winemaker, one of the hottest properties in South America because of the success he has had with Viña Leyda. With a 1.5 million bottle production, Undurraga is a large player, but the renewed emphasis on quality will focus on terroir, and matching vine to soil. They are currently planting Sauvignon Blanc, Riesling, Chardonnay and Pinot Noir in the Leyda Valley. See all stockists of Undurraga on wine-searcher.com. All fruit from Maipo home vineyards. Around 70% barrel fermented in French oak. Very fresh, succulent ripe melon and grapefruity nose, with Lovely background of creamy oak, very subtle. Nice crisp quality on the palate, even although the fruit is quite ripe and tropical. A very nicely styled chardonnay, with pithy acidity pushing through. 88/100. Will be made by Alvaro Espinoza. 100% Cabernet Sauvignon from 35 year old vines of this estate. 18 months in French oak. Seen as Undurraga’s ‘Icon wine’, the first vintage was 1999. Cedary, slightly leafy quality on the nose, with cool, refined black fruit, showing touches of black olive and a slightly astringent quality of tannins and acidity. Has a leanness that is classically styled, but perhaps needs a little more plumpness and charm. 89/100. 80% Semillon, 20% Gewûrztraminer. Very nice, delicate, creamy and lightly honeyed nose, with limpid ripe pear and Ogen melon fruit, but also plenty of vanilla and a touch of exotic lychee and mango. Very nice palate; fine citrus fruit with tangy orange and grapefruit, and a sweet barley sugar edge. Very nice acidity here, and a well-pitched, aromatic and fresh wine. 89/100. 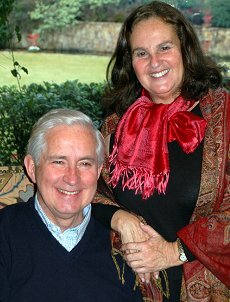 The Errazuriz family moved out of wine many years ago, and Eduardo Chadwick subsequently bought the original Errazuriz vineyard and brand to establish the Errazuriz company that is so familiar on UK wine shelves today. When successful businessman Francisco Errazuriz wanted to move back into the wine business in 1992, the new company with the confusingly similar name of Errazuriz Ovalle, was born. Señor Errazuriz runs a conglomerate company that operates in many markets and many sectors, including mining, agriculture, car distribution, forestry and supermarkets. The wine company is one of the most recent activities of the group, with vineyards in Colchagua, in the Marchigue region. Around 3,000 hectares are planted to 15 grape varieties. For the first seven years grapes were sold to Montes, Santa Carolina, Veramonte and other established wineries. Since becoming a wine producer, Errazuriz Ovalle has grown its operation rapidly, and is now the second largest private producer in Chile – twice the size of Viña San Pedro for example. Only fruit from estate vineyards is used. There has been some controversy in recent years, with Eduardo Chadwick’s Errazuriz company successfully filing complaints that the Errazuriz Ovalle name could confuse consumers. Perhaps because of that, the company now bottles under a number of brand names, including Panul, Tricyclo and V.E.O. See all stockists of Errazuriz Ovalle on wine-searcher.com. Cabernet Franc and 20% Petit Verdot. 12 months in US and French oak. Plenty of spice, cedar and pencil-shaving, with earthy and leafy black olive and black berry fruits. On the palate quite sinewy and deep, with robust black fruit and tannins and a chewy, grippy finish. 88/100.